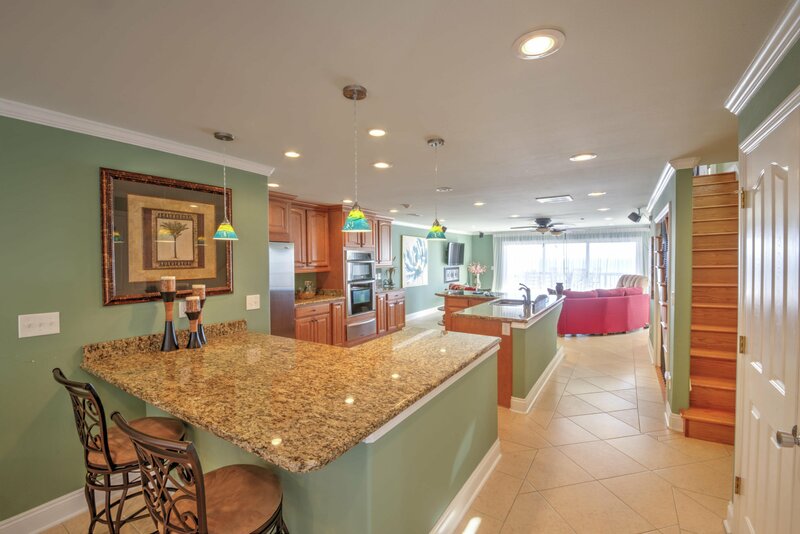 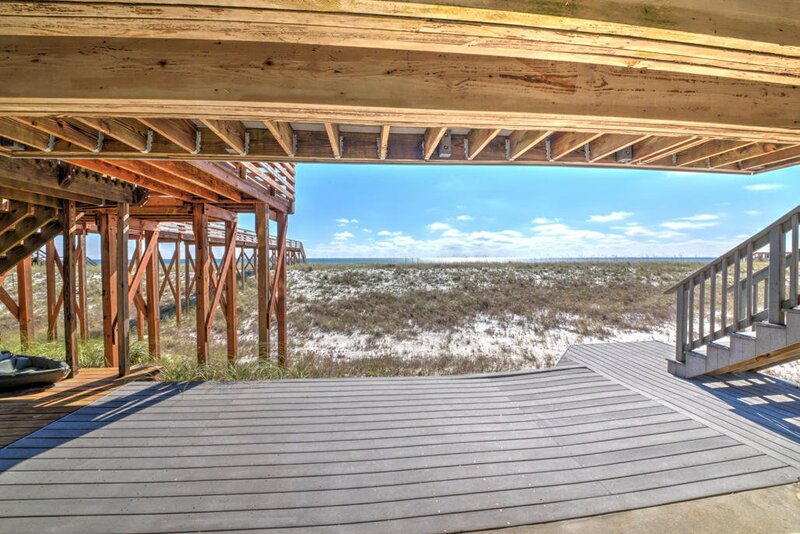 GULF FRONT TOWNHOME, Spacious 3 Bed/3 1/2 Bath, end unit, w/gorgeous views of the Gulf & Santa Rosa Sound throughout! 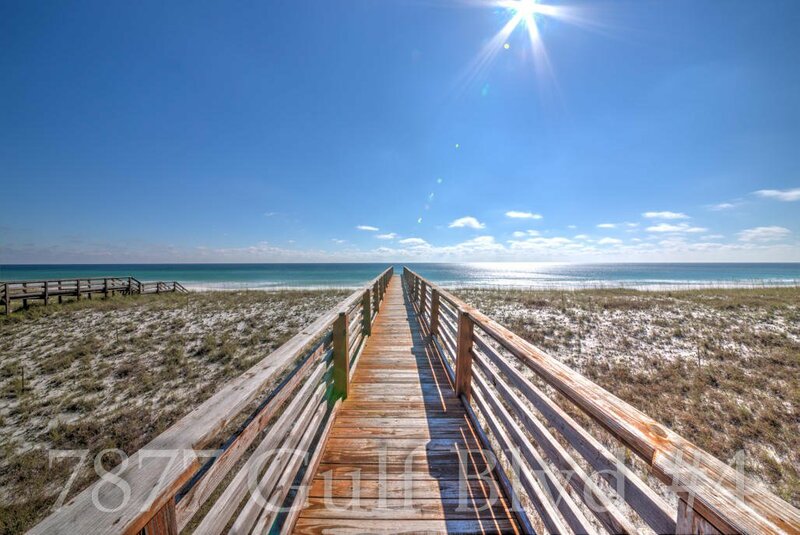 Welcome to your own Paradise!! 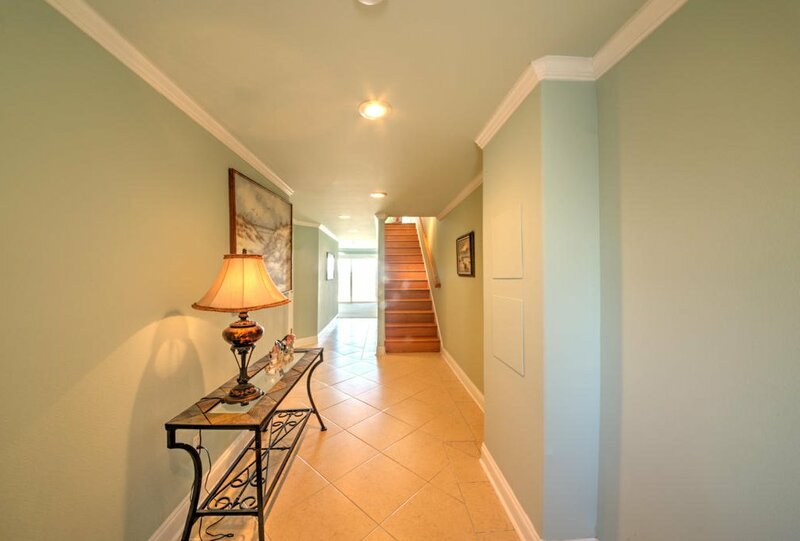 Perfect for Dream home or make an Excellent Vacation rental/secondary home. 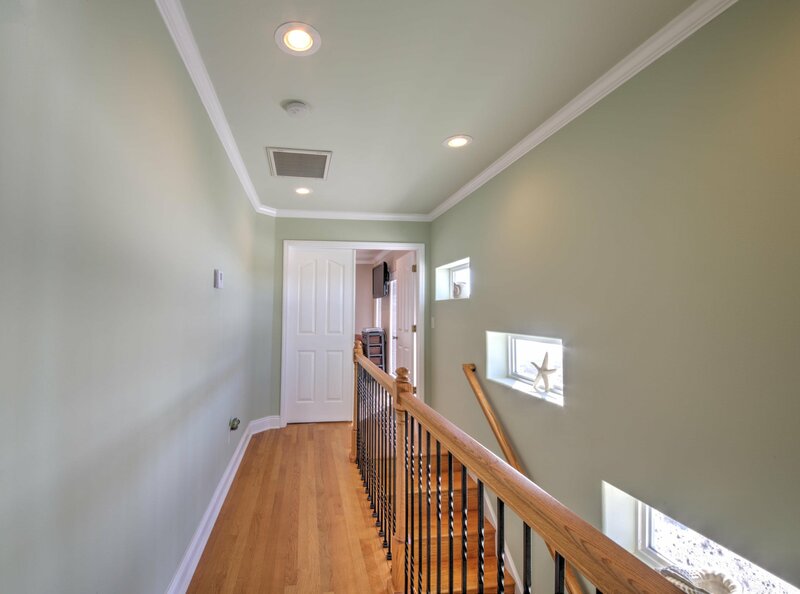 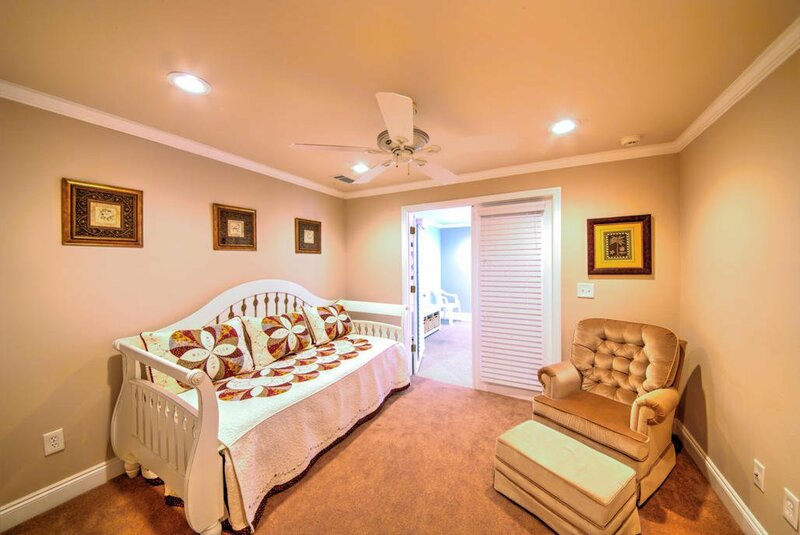 As soon as you enter, you'll see upgrades & spaciousness, entire home has crown molding, w/bull nose corners, tons of recessed lighting, custom window treatments & added windows on the west wall that let in plenty of natural light, upgraded bathroom fixtures, Travertine tiled baths/showers and tile flooring in most of the home, along with custom built stairwell/railings. 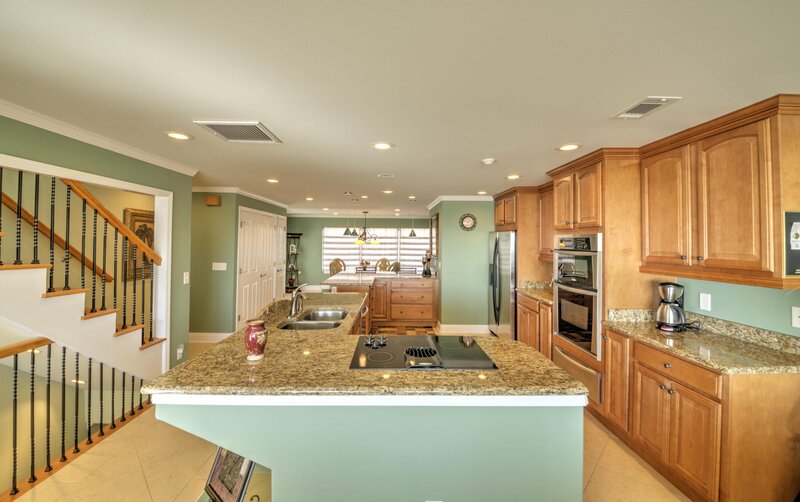 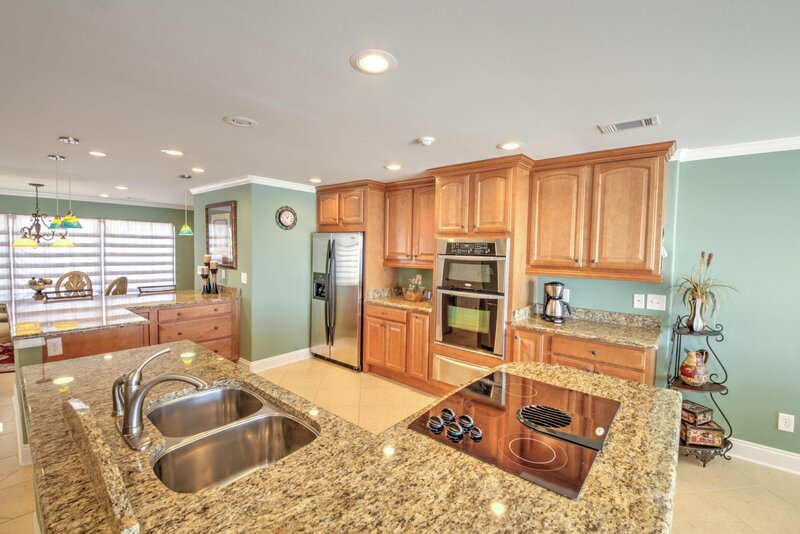 The Kitchen boasts high quality granite counters, upgraded appliances, custom lighting, separate pantry, breakfast bar and so much room to cook w/ tons of custom cabinet space. 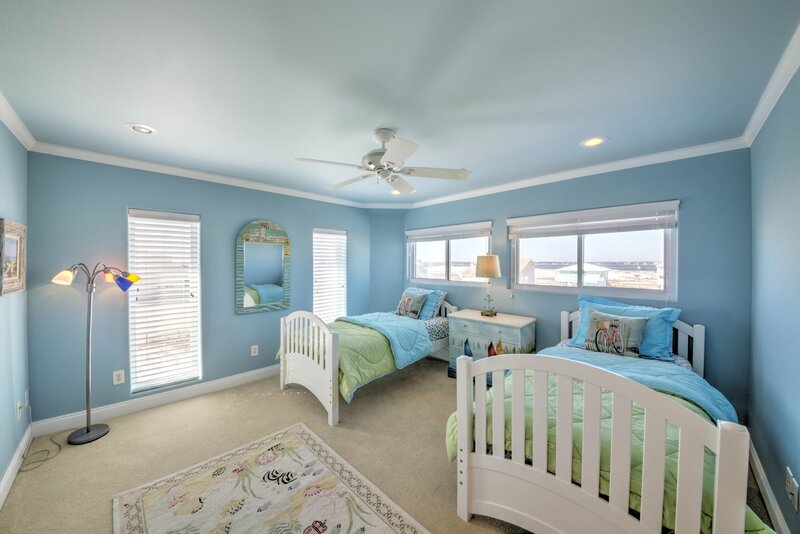 CLICK MORE... 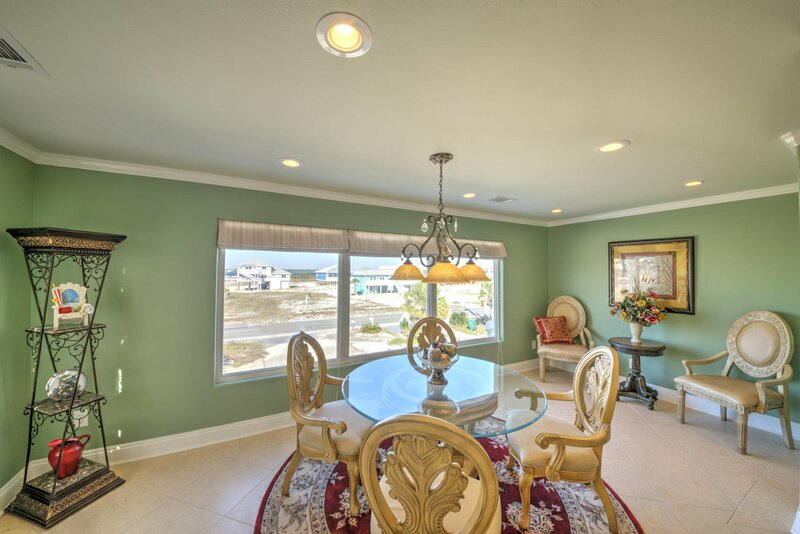 The dining area has plenty of room to entertain and provides views of the Sound and the Gulf, with a nearby powder room for convenience. 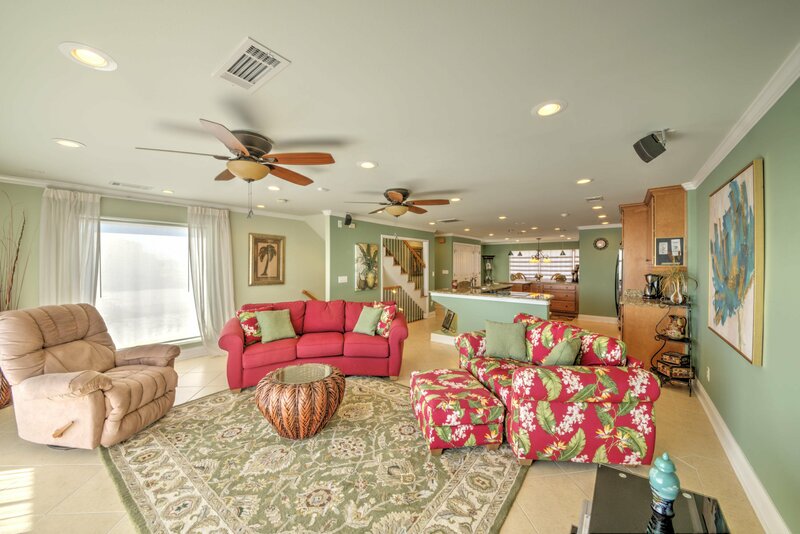 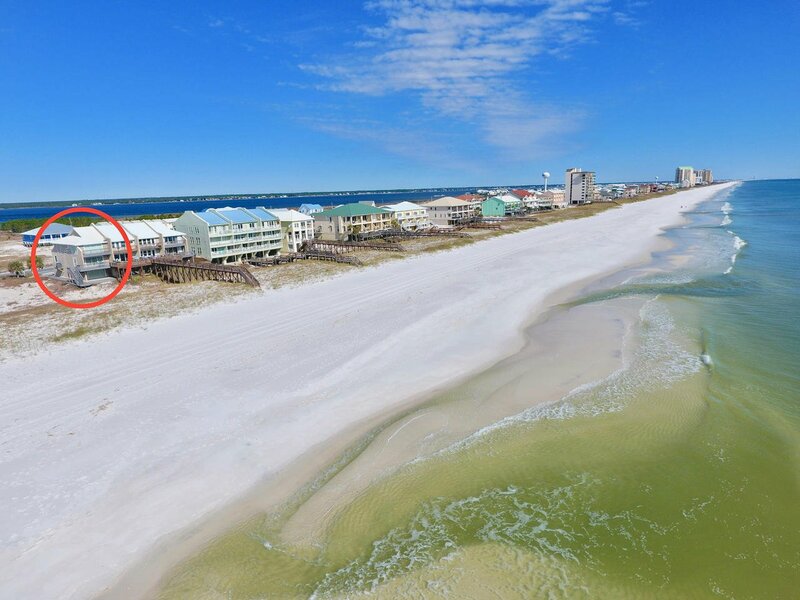 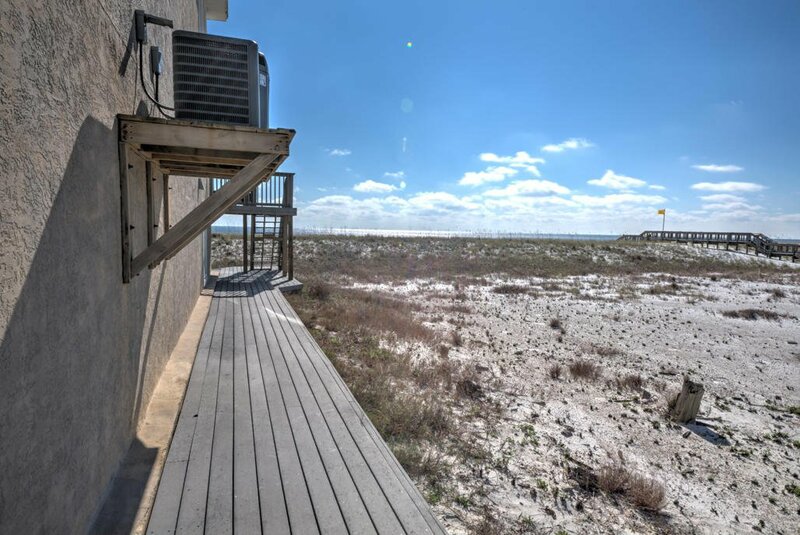 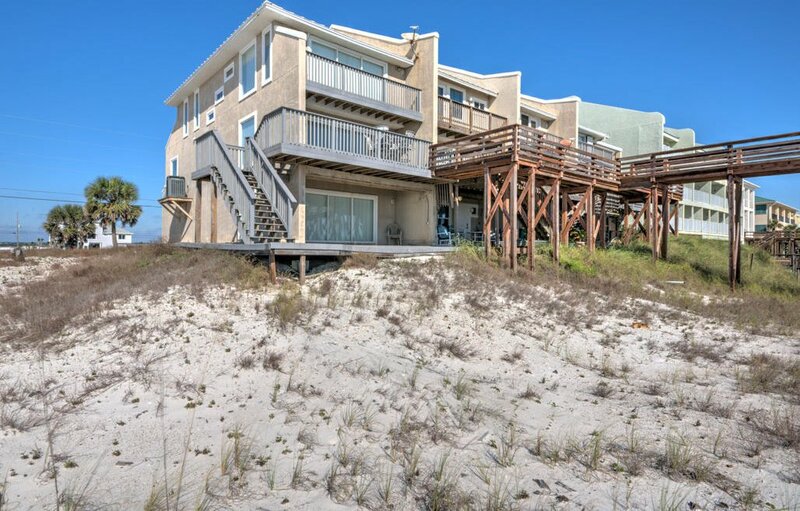 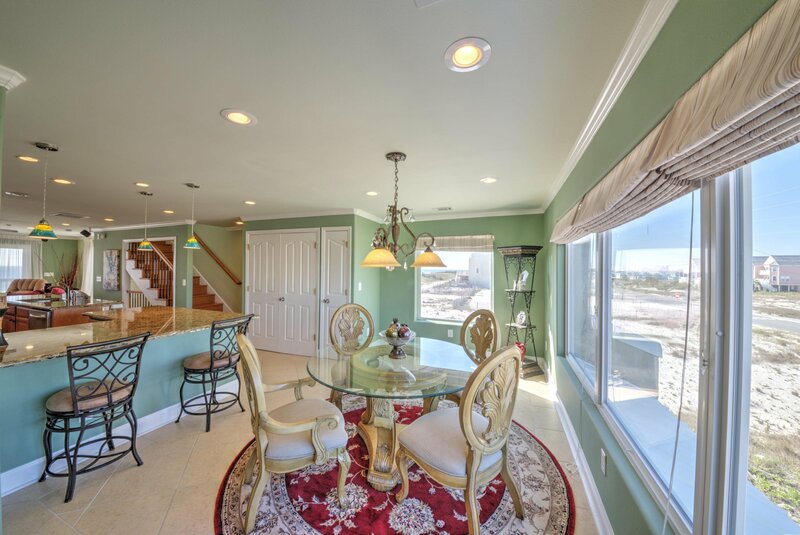 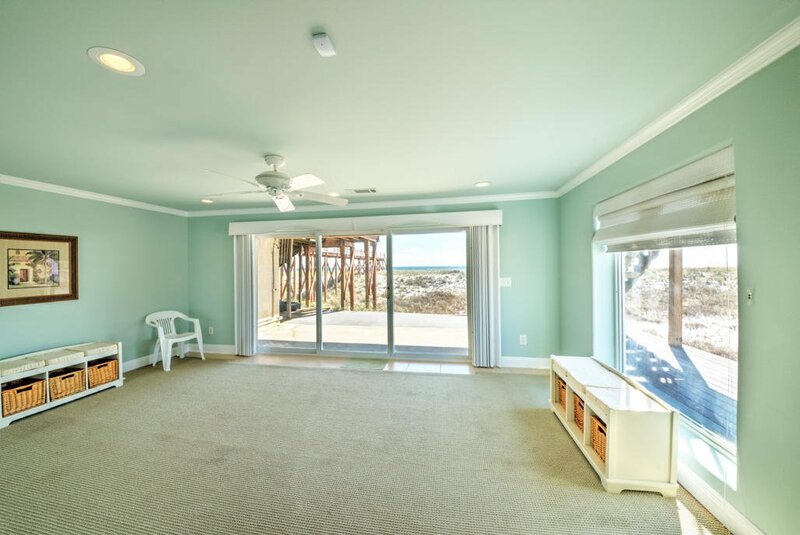 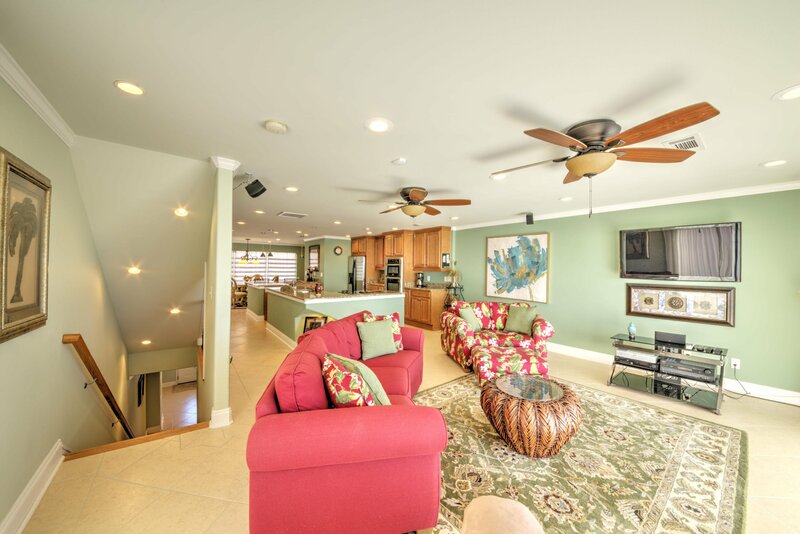 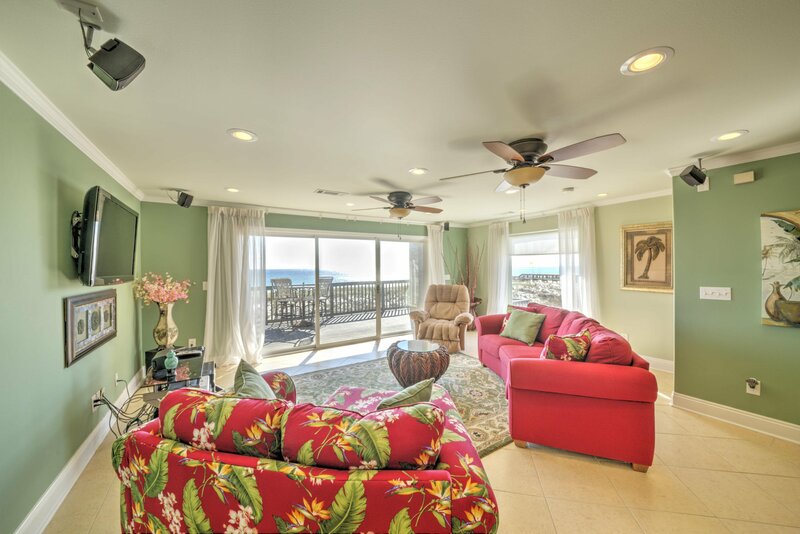 The comfy & spacious living room has surround sound speakers and tremendous views of the gulf and leads onto the very spacious balcony and private walkway to the Pristine Emerald Waters of Navarre Beach. 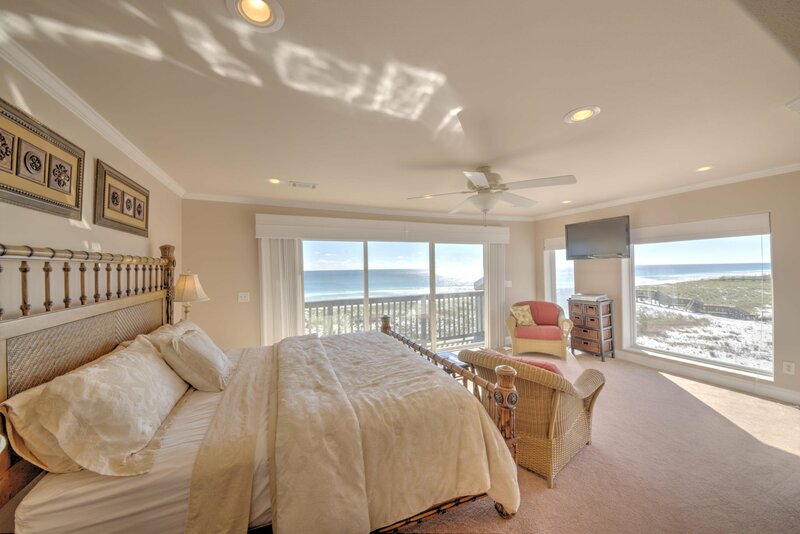 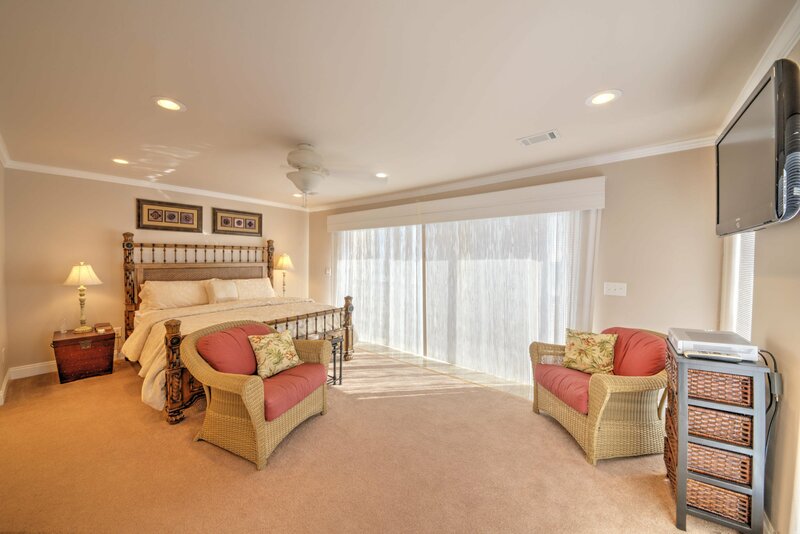 Each Bedroom is equipped w/an on suite full bathroom. 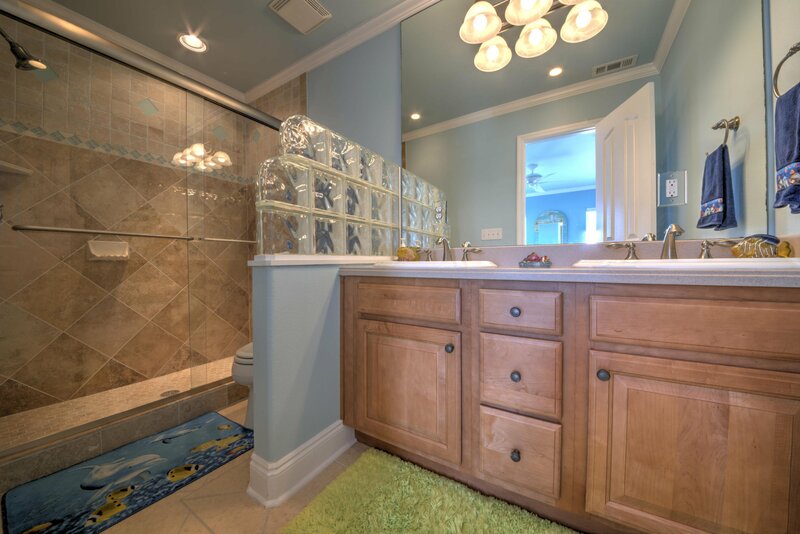 The Master Bath features a huge dual-head walk in shower that was designed to allow private views of the Gulf of Mexico while getting ready for your day or winding down for the night. 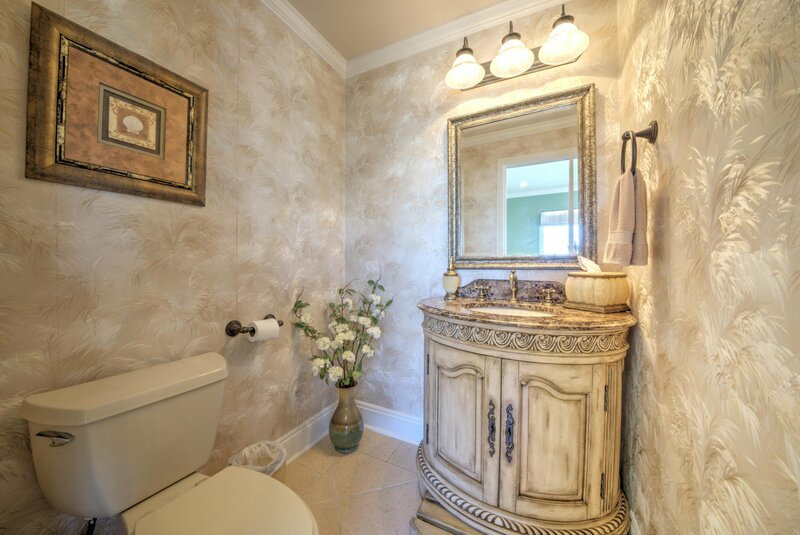 It also has a large custom bathroom mirror that had to be craned in! 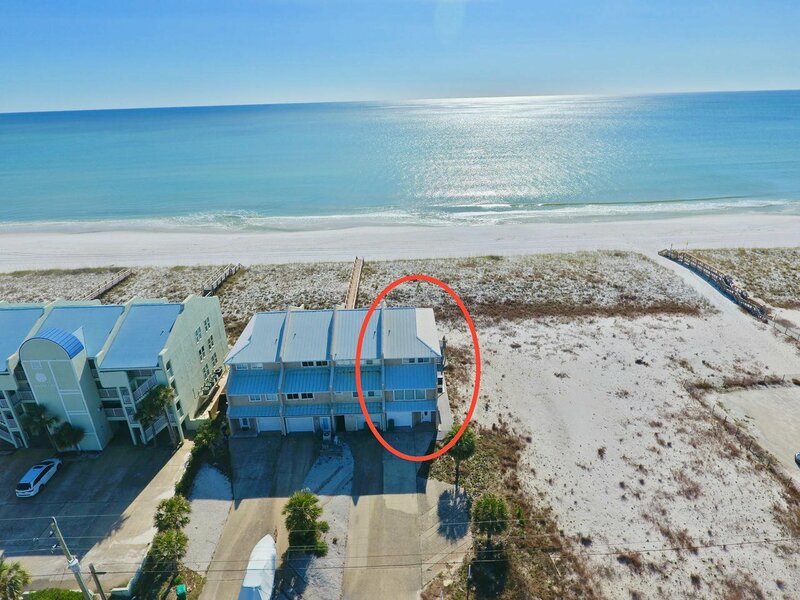 Each floor of this home has its own private patio/balcony, made with the long lasting & low maintenance Trex Decking material, where you and your family/friend's can entertain or just relax and listen to the gentle waves and feel the ocean breeze draw you into sweet serenity. 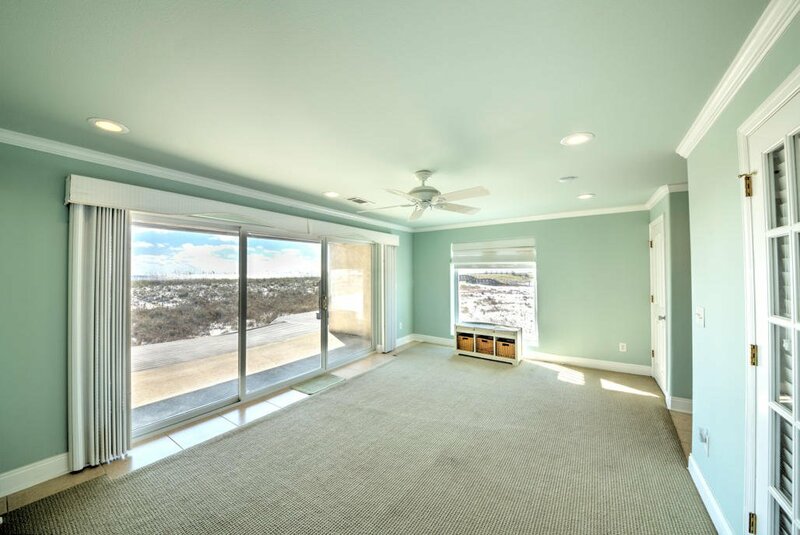 The ground floor is finished and provides many options for an entirely separate living area, bonus room, gaming room, lounge area, etc. 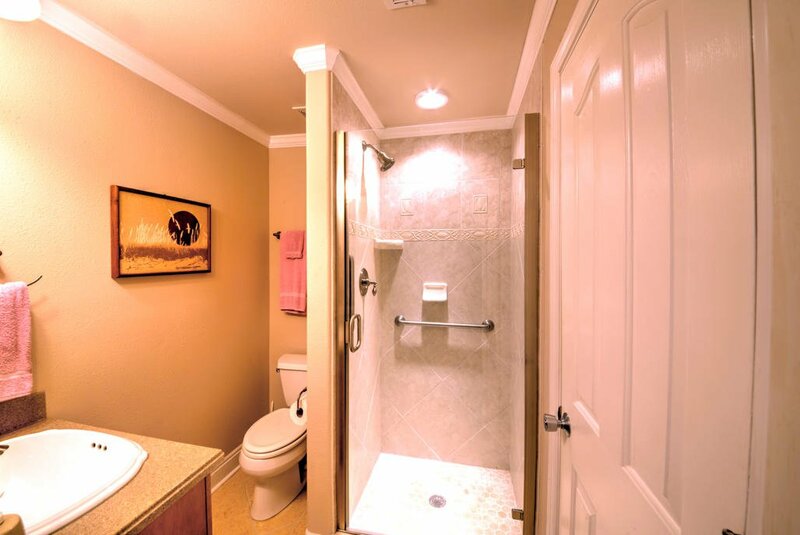 There is so much space to take advantage of! 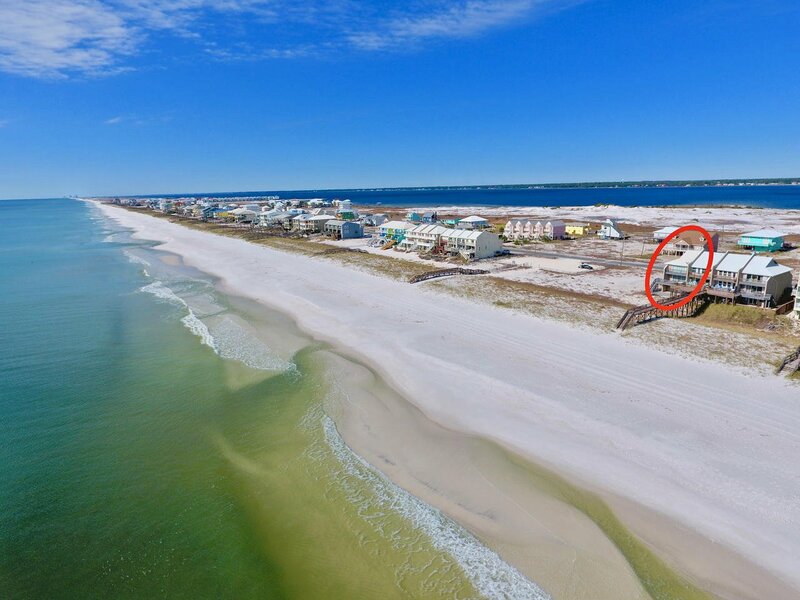 You'll have your own garage with an extended driveway and connected pad where you can park your trailer or other vehicles. 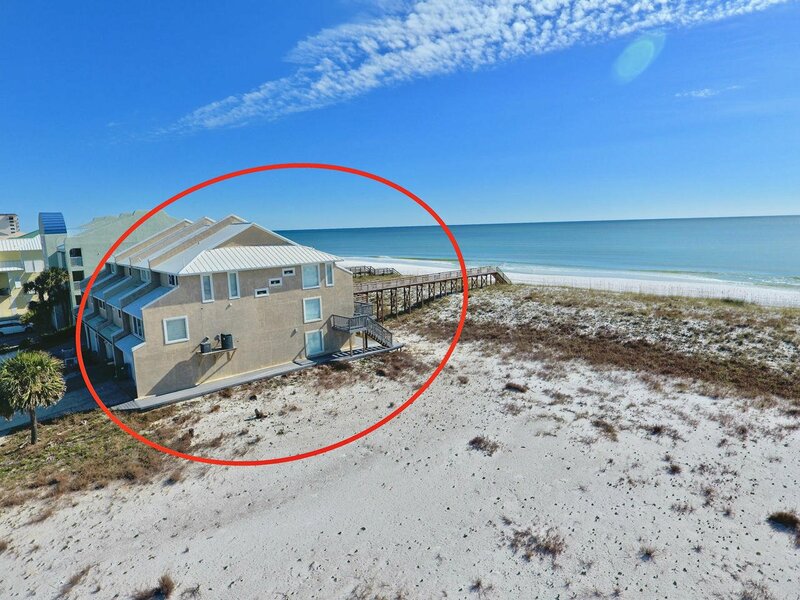 Don't miss this wonderful opportunity to have your very own Gulf Front piece of paradise on Navarre Beach, a beautiful place to call home and one of the last areas with that "Old Florida" feel, coined as "Florida's Most Relaxing Place."